Spectra film (called ‘Image’ outside of North America) is rectangular (9.2 x 7.3 cm) rather than 600 film’s square format. Spectra film is otherwise identical to 600 film; ISO speed, development method and operation remain identical. The Spectra range of cameras are better than the 600-film range, with most of the models utilizing an arc-shaped range of focusing lenses inside the body that swing across the exterior lens element to provide correct focusing, rather than adjusting the distance between internal lens elements. Over time, Polaroid has introduced many variants of the Spectra, but most include a ‘Quintic’ 125mm f/10 3-element plastic lens, self-timer, automatic exposure, and sonar autofocus; in many cases the addition or removal of user controls is the only distinguishing characteristic between models. 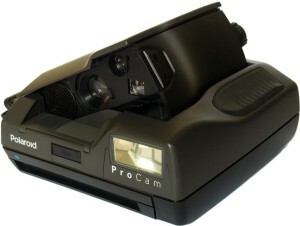 Polaroid Spectra ProCam (pictured to the right), which contains a folding viewfinder mechanism, is one of more desirable variants. The Spectra/Image series also has many optional accessories, such as close-up lenses, special effects filters and a “law enforcement” kit. 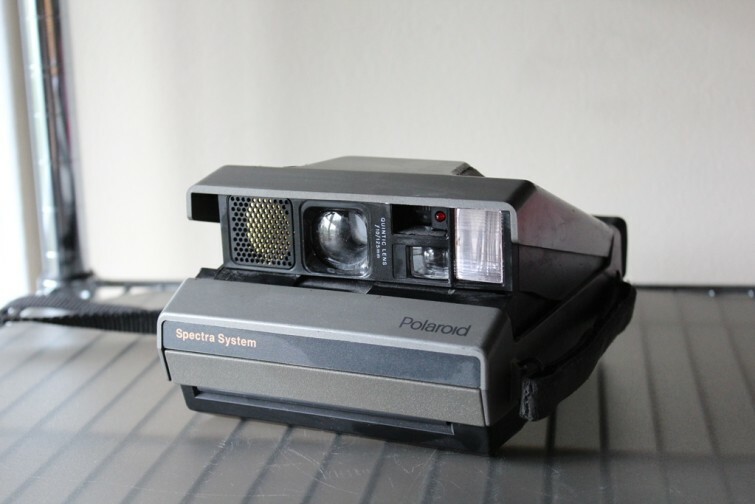 Spectra cameras are thought to take higher-quality pictures than a conventional 600 Polaroid camera, due to the camera’s higher build quality and a proportionally larger print area. While Polaroid no longer produces film for Spectra cameras, the Impossible Project continues to manufacture film for the cameras both in black and white and in color. I picked this Polaroid Spectra (pictured above) at a local thrift store for $5. I sold it a few weeks later to a vintage camera collector for $25. This particular model is not especially sought after by collectors, but it does have some value– even in non-functional condition. Vintage photography enthusiasts shouldn’t have too much trouble finding a camera in functional condition. *Polaroid Spectra System can be purchased on Amazon and eBay.